A nice day viewing the boats along the brayford in the City of Lincoln. 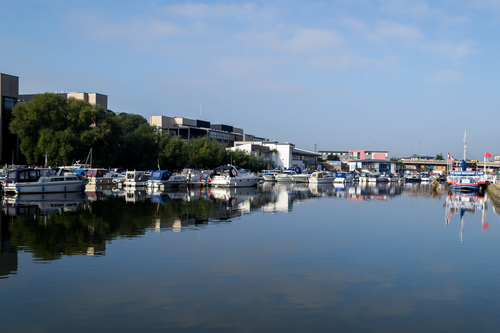 The Brayford is a natural lake in the center of the city of Lincoln in the UK. The lake, which was used as a port by the Romans, is now trendy meeting place with it now being overlooked by popular restaurants, bars and a cinema.